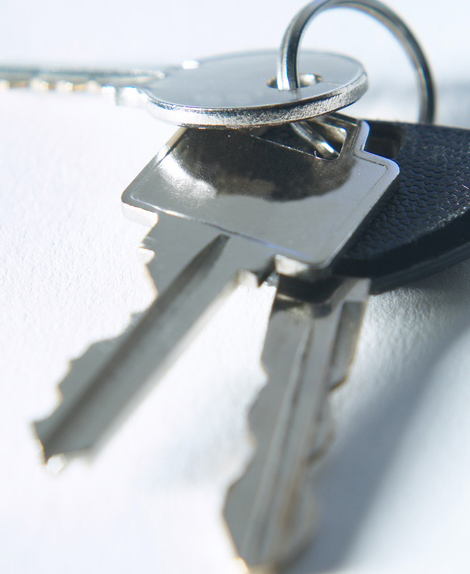 When I lived in Italy I was told, ”No, don’t use the verb ‘to lock’, as in ‘I locked the door’, you must say instead ‘I closed the door with a key’”. This was because, although not a code in itself, the verb to lock was one of the lightly coded, or indirect references to the entry and exit effected in sexual acts. In the parts of England where I’ve lived the verb to lock doesn’t have the embarrassing second meanings that my advisers with some delicacy were steering me away from, though plenty of others do. I mention this here because it is a good example of the desire or necessity for secrets which are at the same time both hidden and revealed, an aspect of codes that we’ll come back to later. Coding, decoding and the interpretation of codes is an encyclopedic area of study, some idea of the range can be found in two Wikipedia sites. The first makes some definition of codes. Access to Western Esotericism, Albany: State University of New York Press (“SUNY Series in Western Esoteric Traditions”) 1994, 10 Thus an esoteric code, such as the one shown above, which illustrates the relationship between planetary macrocosm and bodily microcosm, while of no help in sea rescue, opens a text to multiple sets of interpretation based on symbol and correspondence. Multiple interpretations however, do not necessarily denote esoteric content. The Bible has been reinterpreted numerous times in order to reveal hidden meanings and relevance to the world and how we should live in it. These re-interpretations have been partly accepted and partly rejected over centuries of hermeneutical exploration, and could be seen as representing a more or less sequential multiplicity of interpretations, some but not all based on esoteric notions. These shifts in understanding and interpretation also hold an advantage in relation to esoteric texts and teachings because, although these promise to contain and reveal secret knowledge, they allow for a continuance of the teaching and retention of followers for whom over centuries of changing cultural conditions the original interpretations of the teaching may have been leached of relevance. In relation to esoteric writing codes may be understood by followers of their teachings or traditions as necessary to protect the the idle or unworthy reader from the secreted truth, and the hidden knowledge from contamination. But, at the same time this approach may also function to lock in and thus imprison the follower who may be encouraged or must understand the text within one fixed interpretation. For the scholar, the identification of the use of a specific code, such as correspondence is useful. It identifies the writer as influenced by, or wishing to transmit specific esoteric content. It can, for example, help to place the writer within certain places and confirm associations with others. This remains helpful irrespective of the scholar’s own personal values, beliefs or interests. 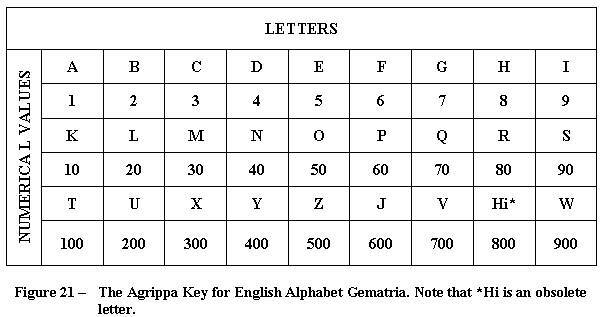 Gematria is a method of coding that relates letters and thus words to number. This is defined in John Michell’s City of Revelation (1972) as ‘The Numerical Correspondence of the Greek Alphabet’. He explores letters and the numbers they represent in words as a way to link number as measurement or dimension in relation to sacred geometry and geographical place. There are earlier systems of gematria in the Hebrew Kabbala and in later systems in Latin, and other languages including English as shown above. Number as related to time is explored by Nicholas Campion in The Great Year: Astrology, Millenarianism and History in the Western Tradition (1994). He begins by examining two myths related to time. In summary one myth regards time as a continuous Fall from the garden of Eden, all things worsen and die [we can see this as a common fate from which esotericists state that only the few can escape – this represents a journey from unity towards fragmentation]. The second myth regards time as moving ever forwards in a progression of betterment towards Utopia for the many, [representing a journey from fragmentation towards unity], (pp 1-19). These might be described as linear notions about time while seasonal notions of time attached to the year or numbers of years connect with recurrence and cyclical movements of time. Once more we find ourselves in several other encyclopedic, life-time areas of study. As a friend of mine said to me the other day, ‘this kind of thing does tend to balloon out’, and then he reminded me of gematria and John Michell’s book. In my understanding, the important connecting link between different systems of esoteric coding, or modes of defining the world is that they all offer classifications which answer questions such as ‘how is this thing like other things? How can it be joined up to other things and approach closer and closer to the one, so that it merges with the one, the all? Whilst the Aristotelian system of classification is useful in that it offers answers to questions such as ‘what is special about this? What makes it different from those? How can we separate this from the mass of the all and define it as one thing separated from the all? Both methods are useful, it depends what you want to know about. The Greek system of classification leads to closed definitions. This gives both the advantages and disadvantages of isolation, limitation, and closure. Useful if you want to decide on a precise holiday destination thus eliminating all other options, or to make an accurate engineering calculation. The system of correspondences, however, allows for many and varied interconnected definitions in which layers of differing interpretations can co-exist; these militate against closure, giving on one hand flexibility and multivalence and the other dissolution and over determination. Useful if you want to interpret new experience or knowledge in the light of present understandings, it offers myth; metaphor, simile, humour, puns and other language and visual symbols with which to explore experience, in which no interpretation is taken as the ‘literal’, single or correct truth. and something of this interacting of different systems for examining correspondences can be seen in the image of the Gemetria Calculator above. Ouspensky goes on to warn of the dangers of taking symbols literally. (Ouspensky, In Search of the Miraculous, Arkana, 1987, 283-84). In general terms, a secret is usually something we could understand if someone told us the facts or we could read them. Esoteric secrets are not necessarily in this overall category, though they can be. In the definitions we are looking at here, in relation to esoteric texts, there is always an element of intentional hiding, of disguise. The texts may seem incomplete or contain puzzling contradictions or anomalies which provoke questioning and invite the reader into an active pursuit of code and key. In this way secret knowledge may be dangled in an enticing form that invites decoding, and promises unknown benefit. There must be an awareness, even if only to a select group of readers, that the text contains one or more secrets, and that these have been put there for the alert reader to find. Gurdjieff further helps his readers by allowing Beelzebub to explain that what is termed ‘a legomanism’ is a method of transmitting knowledge from the remote past (349, 462ff), giving the example of an otherwise perfectly proportioned statue which has hands that are much too large. And this form of extremely obvious anomaly offers what might be expressed by the saying ‘a nod is as good as a wink to a blind man’, that is: something so obvious that only willful blindness could ignore it. This could be called a form of anti-code, rather than hiding a secret it is openly advertised,and teases the reader letting them know there is a secret to decode. Puns or innuendos that refer to sexual acts or parts of the body, like the one that I mention at the beginning of this essay, are obvious yet indirect ways of introducing partially hidden double meanings into everyday speech. No one is likely to set off on a search unless they believe that the secret is valuable, that it will be transforming, enriching, empowering, or carry some other reward. The reader who embarks on the search in the company of an elite group, who are all engaged on the same quest, will already have adjusted or re-framed their own value and sense of self. The reader will exist in an altered hierarchy of value, lower than the writer/teacher, but significantly higher than everyone else who is not engaged in the search. This way the reader is ambiguously both superior and inferior. The higher element of the definition is possible only as long as they continue to engage in the search. Within texts the anti-code half hidden, half revealed is aimed at, or offered to, an elite group of readers with the implication that the secret needs to remain amongst this elect or initiate group. 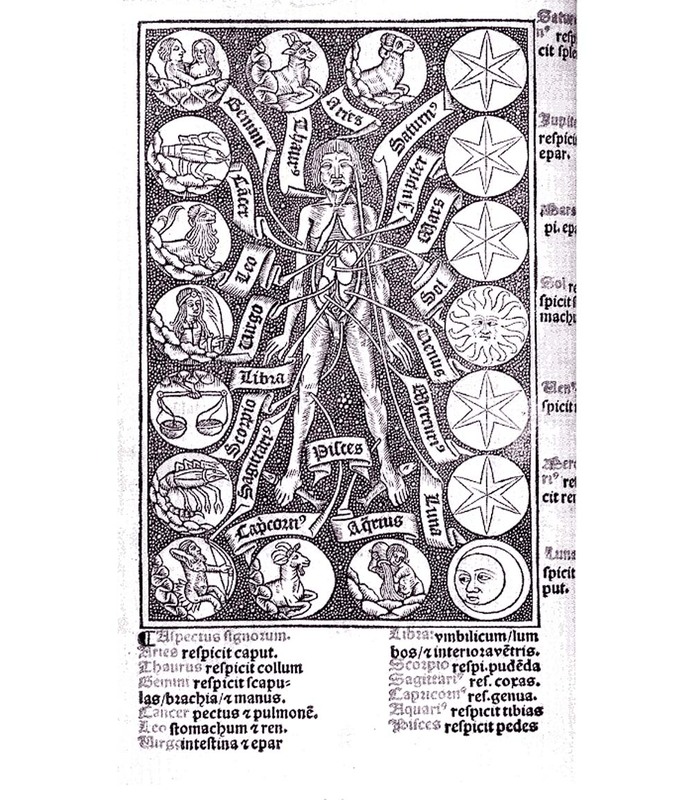 In this it differs from the more open coding of correspondences which may be called upon in a multiplicity of ways, for example via astrology, alchemy or Tarot cards, to make and interpret connections between the macro and micro-cosmoses. Le Mystère des Cathédrales (The Mystery of the Cathedrals), written during 1922 and published in Paris during 1926, is an esoterically coded alchemical text in which the author, Fulcanelli also uses this anti-code method. He too explains how the code is formed, it is a phonetic cabala (not the same as the Hebrew Kabbalah), but, like Gurdjieff, he doesn’t reveal the secret the code is hiding. We will return to Fulcanelli later in this essay. The allure of secrecy in the 19th and 20th century texts related to anti-establishment teachings. imposed an order of society and an ordered way of thought which were inseparable. It is only in the last four centuries that this Establishment has gradually been worn away. (Webb, 1971, p. 120. See note below). However, alchemy, astrology, cabala, gnosticism, hermeticism, mystery religions and neo-Platonism among other teachings (whilst subject to their own changes and revisions) did not disappear but have remained a dissenting occult or esoteric underground offering anti-establishment, counter cultural, politically revolutionary, or alternative sources of religious or spiritual guidance and coming to the fore in times of trouble when the Establishment was weak and there was a need for an alternative. The unifying factor of all these teachings is their opposition to the Establishment, and an important unifying factor behind both the Establishment and anti-Establishment activities is their re-action to change. In brief, the Establishment most often resists changes to its dominance and the anti-Establishment mostly in separate small groups of discontinuous rebellion seeks to effect and encourages change. Secrecy became a necessity for those wishing to avoid church or state charges of heresy which was punishable by death. 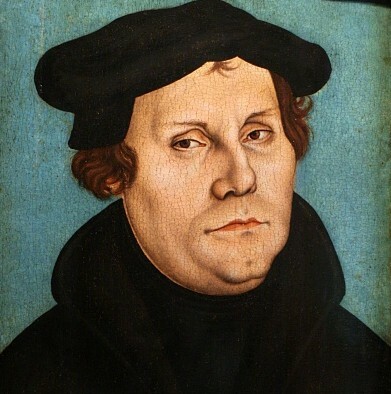 This affected estotericists but also since the 16th century Reformation when Western Christianity was split in two: between a Protestant and a Catholic Church, each side could accuse the other of heresy. The split caused wars in Europe and knowledge about both political and spiritual matters resulting from these disputes became available through the new printing presses. Literacy improved. Pamphlets could now both reveal and hide dangerous information. Here I’ve included political revolutionaries along with esotericists and occultists because although these occupy many separate spaces in thought and practice, and therefore in scholarly attention, in periods of conflict these apparently separate streams flow together for a while. In the 19th century two of these influential streams flowed out of and into Russia. For a more detailed exploration and exposition see Antoine Faivre’s Access to Western Esotericim, Albany, State University of New York,1994, which the back cover describes as offering the reader ‘a systematic treatment of esotericism … and … also a historical survey … [of] Christian Kabbalah, Theosophy, Alchemy, Rosecruciansim and Hermeticism’. Oral and Written Transmissions . . .
Firstly, some of the modes of oral transmission which continued to influence the visual and aural arts in the 19th and 20th centuries. Secondly, a hybrid form of oral and written transmission in books designed to be read aloud to others as well as silently by the reader on their own. Some of the modes of oral transmission which continued to influence the visual and aural arts in the 19th and 20th centuries. There was an example mentioned above of a coded sculpture, and esoteric codes have been and no doubt continue to be encrypted in visual form in the arts, both seen and heard. 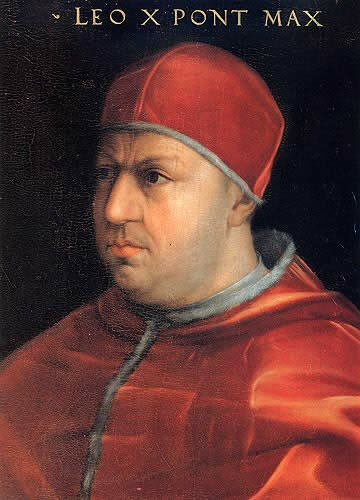 There are scholarly accounts of these, especially in relation to Renaissance as well as to 19th and 20th century works of painting, architecture and sculpture, which flow alongside similar esoteric streams of transmission in written, sung or recited literature. Although these disciplines were inter-related we will mostly mention written and orally transmitted works, literature in the form of European poetry, folk tales, stories and novels. However, it is worth noting that artists in all creative fields who, unless they achieve fame and wealth, are rarely accorded places of security and respect within an established culture, tend to exist on the margin or outside it, and being less shielded from the effects of change than the materially well-off, often explore alternative values and counter-cultural stratagems which include the esoteric coding of their works, as well as politically revolutionary ideas, so that groups of political activists and artists can sometimes merge. While it has, at least theoretically, been accepted that we are all subject to time and change and that these will bring us inevitably to death and the loss of everything we are and know, Christian beliefs in the eternal, in an unchanging, forgiving God, and in life after death acted as a successful buffer between the knowledge of death and fear of the unknown. However, the 19th century experienced severe instabilities arising from the disruptions of generally held views and values. These changes were prompted by the scientific revolution of the Enlightenment which threatened belief in the truths of the established Christian Church these refuted the existence of God and the Devil. Darwin’s theory of evolution challenged belief in the literal, and historical truth of the Bible, and the belief in life after death; while Freud and Jung’s psychological theories relating to the unconscious were redefining rational and irrational functioning. 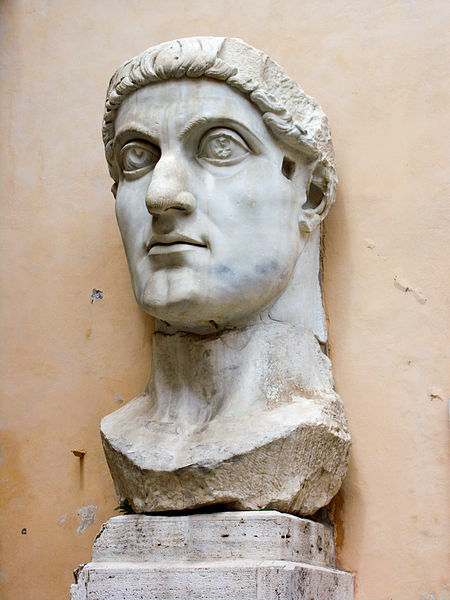 Other European world-views were challenged by travel to the far East, which encouraged an archaeological and anthropological exploration of ancient civilizations, leading to excavations of ancient civilizations; interest was aroused in other religions, for example Buddhism. In England the industrial revolution was inflicting further change. As the present was forcing an uncomfortable sense of impermanence, and loss of certainty, interest was drawn to the past, to traditions passed on orally and therefore thought to be safe from the ravages of time. In Europe, and later America, this can be seen in the Romantic movement which countered Enlightenment scientific values, and among other responses re-affirmed pre-Enlightenment anti-rational values. 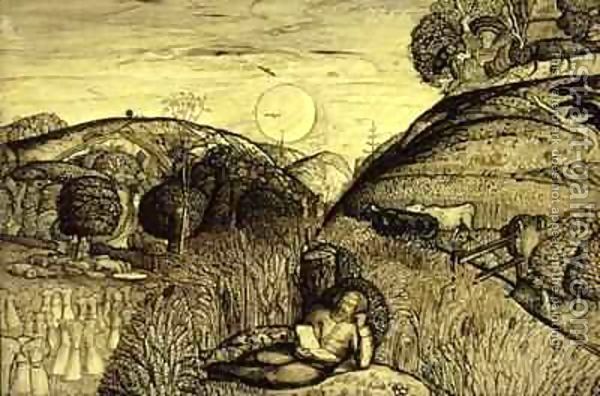 We can understand Samuel Palmer’s image of a man lying in a field of corn somewhat oddly reading a book, shows the man in relation to both the book of nature and the Bible. Bacon’s The Advancement of Learning was published in 1605. The man in Palmer’s image, who seems to be in Elizabethan costume may well represent Francis Bacon, there was a revival of interest in him at the time Palmer was painting. The book which has a visual precedence in Palmer’s image is the book of nature shown in Edenic beauty. 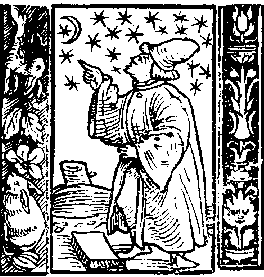 This relation of the above and below is also shown in the image of the Astrologer in Jörg Breu’s woodcut, 1531, (which we saw above), where the stars in the macrocosm have precedence over the microcosm, (although the astrologer’s foot seems to be on or near a book). A note of thanks and also of caution. 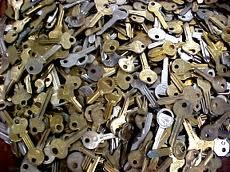 My intention, in the above essay, and in part two, is to provide material that can open up some lines of thinking and exploration about codes and their keys in relation to esoteric texts. Many of these are complex and call for a lifetime of exploration, so whilst keeping an eye on the necessity to show where I have found information I have sought to balance this with the need for flow of reading. Thus I am extremely grateful to the Wikipedia sites which have helped me to venture into previously unexplored areas and which include citations and links that will expand what is given in the essays. As we know, disputes and wrangles occur within (as well as outside) most academic disciplines, and given the wide range of topics we’re considering here there are many omissions to bear in mind, as well as my own errors in the above and what follows in part two. 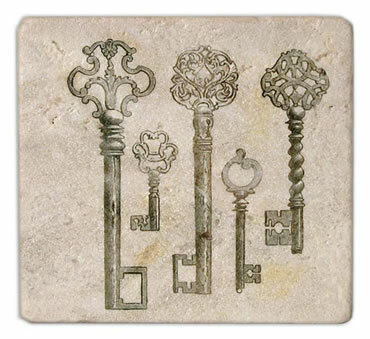 Esoteric Codes and their Keys: Part Two. Begins by looking at the collection of folk tales, and a growing interest in European Oral Tradition.